Northern United Dirawongs coach and co-captain, Willie Hammond. Willie Hammond walks toward the camera, puts out his hand and says “Yugumbeh – Stop the violence.” It’s an advertisement that’s part of an ongoing campaign to put an end to domestic violence and features a number of local Indigenous community members saying ‘Don’t do it again’ in the Bundjalung language. Willie, the Northern United Dirawongs rugby league team co-captain and coach, was already an advocate for an anti-domestic violence campaign and was more than happy to be part of this new local campaign. The opportunity to appear in the commercial came out of the blue when he received a phone call from his footy-playing cousin Ashley, who was supposed to feature but couldn’t make it. Luckily for Willie, he was wearing his Northern United football shirt, because an hour later, he was standing in front of the television camera. Last year Willie flew to Sydney as a Northern United Dirawongs representative to support the launch of the Tackling Violence campaign, and he met with then NSW Minister for Community Services Linda Burney. Willie sees the campaign, with its important messages and funding opportunities, as an effective way of tackling domestic violence and fighting in the local sporting community. “There’s a message for everyone, male and female,” Willie said. “If you are a victim of DV don’t be scared or ashamed to speak up about it to a friend, relative or someone you can trust. There are places to get help, such as Rekindling The Spirit, with male and female Indigenous counsellors who can support you. Willie is a modest role model and an unsung hero of local rugby league. At nearly 34 years of age, he has seven children and has spent many years of his life playing sport, being a father and helping young people. Willie became the co-captain of the Northern United Rugby League Football Club earlier this year, along with co-captain Roy Bell, and he loves being part of a team that is run by Indigenous people. “It’s our first year as coaches and it’s good to have each other,” Willie said. “Chris Binge, my cousin, suggests things to us. He’s been the coach for the past few years and he is still the backbone of first grade. With the grand final in September, the local competition season is about half way through, and the Northern United Dirawongs are ranked third on the Northern Rivers Regional Rugby League (NRRRL) ladder. Being a coach and a dad with five kids still at home (three of his own, a cousin, and his partner’s nephew) makes for a busy life. When it comes to game day, Willie’s phone rings non-stop and he’s committed to Tuesday and Thursday nights for training. Willie was born and raised on a mission in Moree by his nan and pop, who also looked after his cousin and twin sisters. He always loved sport and got involved in footy when he was five years old, playing backyard football with his many cousins. He went on to play in the local junior Moree rugby league competition, and later for the Moree Boomerangs. While Willie didn’t have a lot of experience of having a father around while he was growing up, he has more than made up for it throughout his life by becoming a good father to his family and a positive male role model for many young people. Willie first became a dad when he was at high school and, while he enjoyed school, he made a decision to leave after Year 11 to actively engage in fatherhood. Willie was also approached to play with the Canberra Raiders, but decided to stay in Moree. 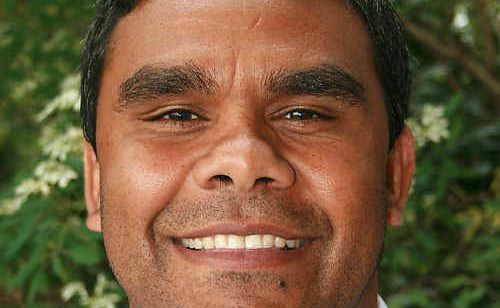 In 1997, Willie moved to the Northern Rivers to live with his cousin, Chris Binge, who was raised on the same mission in Moree as Willie. Here he met his current partner Leonie Roberts, with whom he has three children. He and his family moved to Newcastle in 2001 so he could play first grade with Lakes United alongside Australian representatives Brett Kimmorley and Paul Harragon, but he left the big money behind and came back to the North Coast in 2003. At the time, Chris was working in community services and inspired Willie and gave him some good connections. In 2005, he did a bit of mentoring for Chris in the local area, supporting families in community services. Willie has since worked for many local community service organisations and started working as a family support worker at Rekindling The Spirit after meeting founder Greg Telford while fishing with his cousin Chris. “Greg is well respected in the Indigenous community here after 15 years of working with the community,” Willie said. “Chris and Greg are the two people I look up to working in this field; if it wasn’t for them I wouldn’t have the skills I have now. “While I was working at Rekindling The Spirit, I enjoyed getting out and talking to men who had problems and anger management issues and I was able to let out some of my own stuff too. Men’s groups are a great thing. They deal with life issues and it’s a safe place to get stuff off your chest. “I eventually left Rekindle because it was tough working with men’s issues and I needed a break. All my family said ‘you can do a good job working with young fellas; your home is already like a day care with all the kids hanging around at home’,” Willie laughed. After seeing a job ad for an Aboriginal community worker in the paper last year, Willie successfully applied for it and joined the Northern Rivers Social Development Council (NRSDC) Youth Services team. While many people in the local community see Willie Hammond as an inspirational role model through the work he does in the community, he still remains humble when talking of his achievements. Northern United Dirawongs train at Clifford Park in Goonellabah on Tuesday and Thursday evenings. If you want to get involved with the club, you can contact Northern United’s club manager Chris Binge on 0416 299 612. As well as writing for The Echo, Liina Flynn works part-time as the communications officer for the Northern Rivers Social Development Council, a not-for-organisation.